For the first time in school history, three Harlingen High School South Hawk athletes have advanced to the State Track and Field Meet. 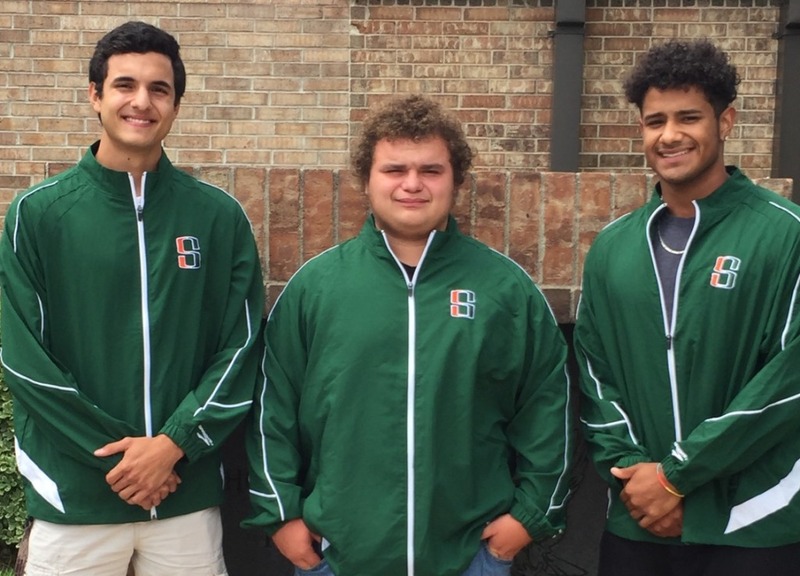 Sky Tatum, Marcus Ramirez, and Andrew Ott will travel to The University of Texas at Austin on May 11-12 to compete against the best in the state. The South Hawks Men’s Track team once again had an incredible showing at the Region 4 Track and field championship held at historic San Antonio Alamo stadium this past weekend. Harlingen South finished third out of 64 teams in Region 4. The Hawks dominated the field events on day one and took a commanding lead at days end. Leading the way was Sky Tatum winning the discus with a toss of 170 feet and two inches. Finishing third in the same event was Cristian Cortez with a toss of 157 feet and Ben Ruiz finished fifth with a throw of 151 feet and five inches. In the shot put Andrew Ott thrilled the crowd with a throw of 60 feet and two and a quarter inches, improving on his best mark by almost two feet. Chase Harrell finished fifth in the same event with a mark 57 feet seven and a half inches. In the pole vault, Marcus Ramirez finished second with a vault of 15 feet six inches. Nitia Duran had a strong showing in the 110 hurdles, and Crestony Martinez finished ninth in the 400 meter run with his best time missing the finals by .23 seconds.